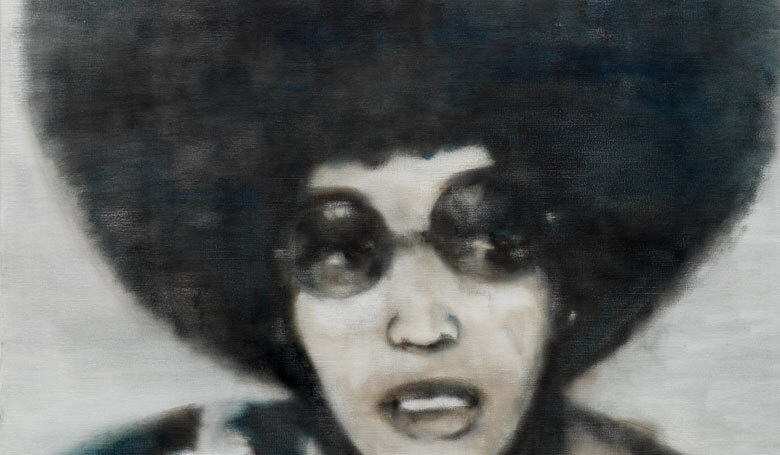 Image: Angela Davis #2 (detail) by Iris Kensmil. Photo: Gert Jan van Rooij. Bijeenkomst georganiseerd door Framer Framed en Atria – kennisinstituut voor emancipatie en vrouwengeschiedenis. Met Chandra Frank, Iris Kensmil, Elizabeth Kleinveld, Milo van der Maaden en gespreksleider Esther Captain. Locatie: Atria, Vijzelstraat 20, 1017 HK Amsterdam. What does feminist art practice mean today? Since the 1960s especially, women active in the arts field in The Netherlands have been firmly establishing their own subjectivity and forms of expression. As discussions on colonial history and the importance of intersectionality in feminism have become more pressing, a space has emerged in which narratives are challenged and (public) memory is questioned. A new generation of feminist artists and cultural producers, following the archival turn in feminism in the 1990s, are increasingly embracing the archive in art practices. How do they use art as a means to insert themselves in and propose new art historical narratives? In what ways do they appropriate historical narratives to present new perspectives through the arts? What are the institutional barriers they experience within the arts field today, and what role can the institutions themselves play in changing the status quo? This evening we enter in dialogue with four people active in the arts field that are claiming their own place in tradition and history. We examine how new perspectives are forged and new subjects are made. Iris Kensmil (Amsterdam, 1970) is a Dutch visual artist of Surinamese descent. Her body of work consists of paintings, drawings and installations. She perceives herself as a chronicler, enhancing the canon of the Arts with images of black people carving their own place in history. “In my work I draw on the European tradition of painting and drawing, on contemporary concepts of image and artist’s strategies, and on the history behind my world of experience as a person with black skin.” Kensmil studied at the Minerva Academy in Groningen. Since 2014 she is member of the jury of Dutch Royal Award for Modern Painting. In 2015, she had a solo exhibition featuring a collection of portraits at Club Solo in Breda. More information at www.iriskensmil.nl. 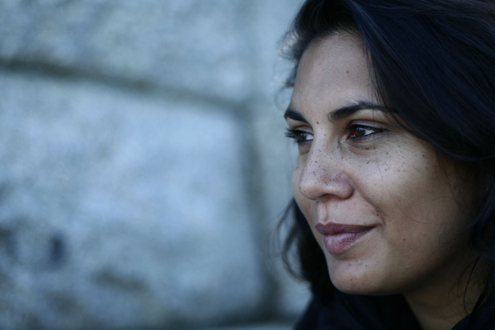 Chandra Frank (Dutch/South African) is an independent curator based in London and Amsterdam. She holds an MPhil in African Studies from the University of Cape Town and is currently a PhD candidate at Goldsmiths, University of London. Her work is focused on the Black, Migrant and Refugee women’s movement in the Netherlands during the 1980s. She explores the role of archives, Black and brown feminist genealogy and the politics of pleasure and resistance. In her curatorial practice, Frank is interested in uncovering hidden queer stories, refiguring the archive and thinking towards decolonial and queer modes of research, curating and healing. Frank is the curator of the current exhibition Re(as)sisting Narratives (2016) at Framer Framed, the result of a 2-year project. The exhibition is focused on lingering colonial legacies between South Africa and the Netherlands through engaging with contemporary artists from both countries. Milo van der Maaden (1986, Oss) is a London based artist and director who received an MA from the Slade School of Fine Art in 2014. Working across theatre, performance, video and text, Milo’s productions revolve around national image-making, colonial legacies and queer agency. The research-based practice explores alternative approaches for reflective spectatorship in working with both historical and contemporary archival sources. Recent works include two political plays on pinkwashing and homonationalism, reflecting on the usage of LGBTQ rights to market a seemingly liberal attitude of tolerance in current Islamophobic and anti-immigrant discourses. Pale News, Chisenhale Gallery, London (in collaboration with Imran Perretta) and the unutterable thing, Rowing, London deal with the intersection of concerns around gender, sexuality, ethnicity and religion in current socio-political developments and invoke art spaces as a platform to reclaim queer agency. Elizabeth Kleinveld (New Orleans, 1967) is an American and Dutch artist & photographer, whose most recent series, In Empathy We Trust, is created under the artist name E2, together with Epaul Julien. A self-taught artist, Kleinveld aims to bring about a dialogue on stereotypes and their effects by using iconic masterpieces, scanning over 600 years of art history as a starting point for this dialogue. Some of their most recent works include a remakes of both the Nightwatch and Washington Crossing the Delaware with women. At first a reaction to the racism shown during Hurricane Katrina, E2’s work quickly expanded to include other social themes like women’s rights, sexual preference and how society reacts to people with extreme weight differences and disabilities. In Empathy We Trust questions whether the civil liberties started by the French and American revolutions have ultimately led to gender and racial equality today. Dr. Esther Captain is Head of the Centre for Applied Research in Education at Amsterdam University of Applied Sciences. She has published extensively on the legacy of WW II, memory and heritage studies, postcolonial history, identity and generation. Her PhD dissertation focused on internment diaries and memoirs written during and after the Japanese occupation of Indonesia. She will moderate the conversation. This event is co-organized by Atria, kennisinstituut voor emancipatie en vrouwengeschiedenis and Framer Framed and is part of Maand van de Geschiedenis.